Jessica and Josh wanted to spend the rest of their lives together, so they decided the next step was to get married and celebrate with their family and friends! 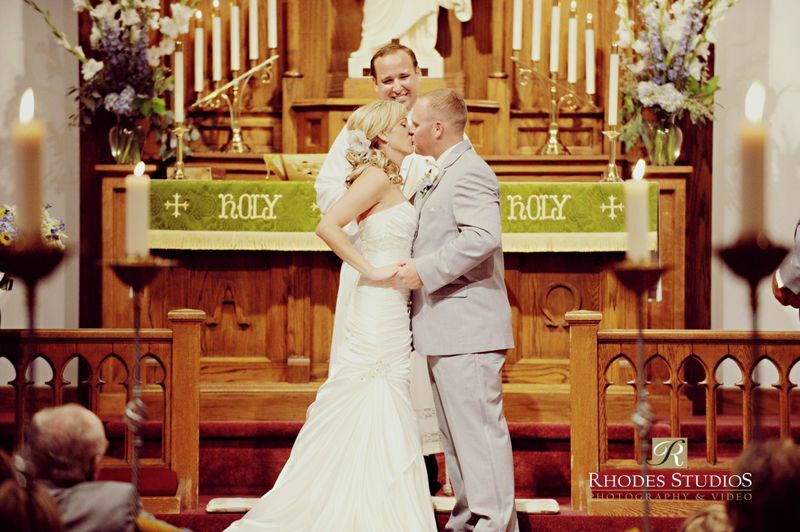 Their classically beautiful ceremony, held at the stunning Trinity Lutheran Church in downtown Orlando, reminded everyone the importance of the event. 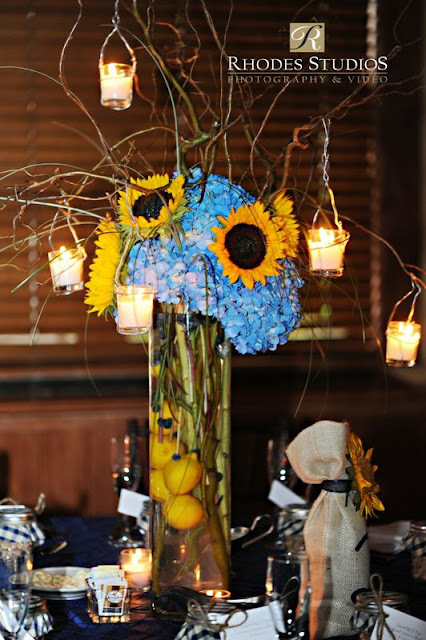 Their country chic reception, held at the Historic Dubsdread Ballroom, felt like walking through a summer garden with Petals by Design‘s lovely sunflower and blue hydrangea centerpieces and hanging votives. 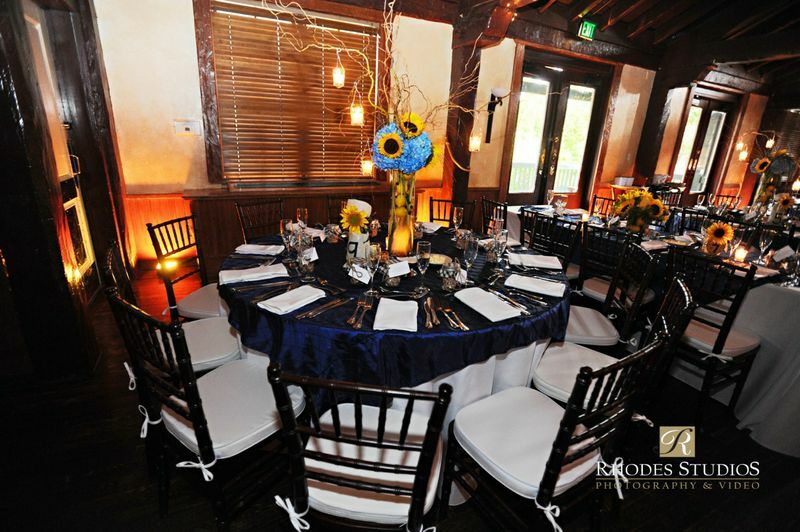 The mahogany brown chiavari chairs with white cushions and navy pintuck linens added to the elegant summertime feel. 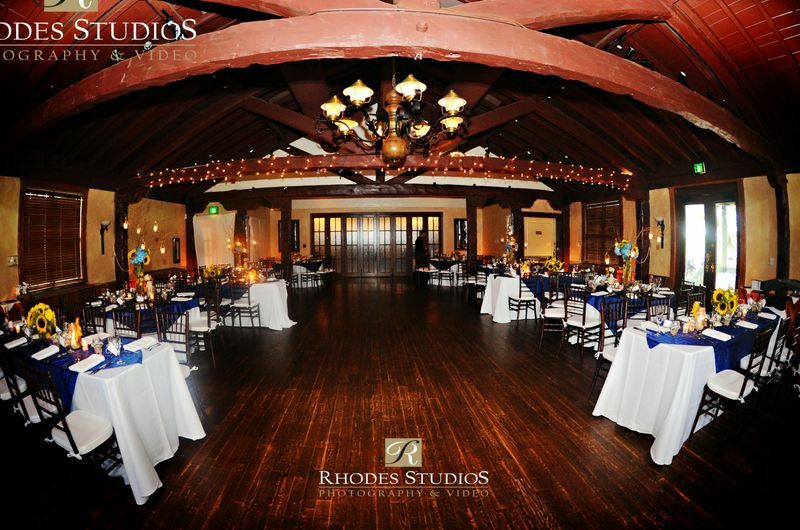 Rhodes Studios captured the fun and importance of the day in their photos and Soundwave Entertainment kept the dance floor packed until the end of the night. 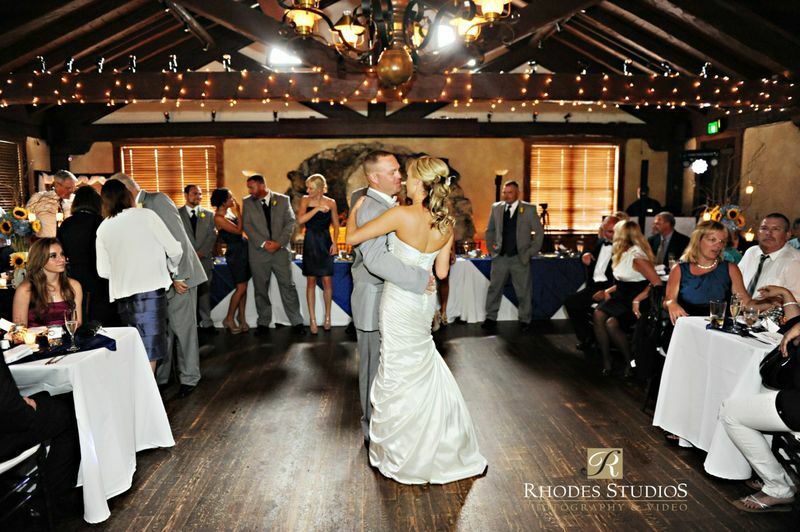 Working on this wedding was a blast! 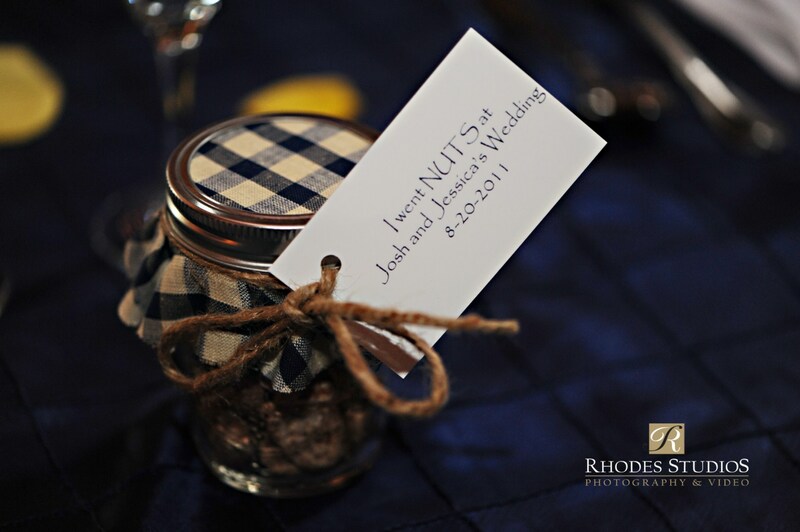 We’d like to acknowledge everyone that was involved!